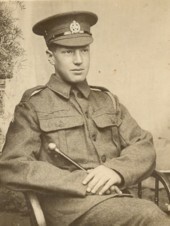 31996 Private John Deakin, 14th Bn. 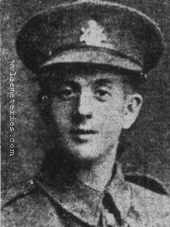 Gloucestershire Regiment, died 22nd October 1917, aged 20. Son of James and Aleathea Deakin, of Aston Village, Wigmore Rd., Ludlow. Native of Aston, Salop. 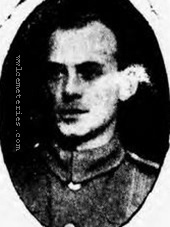 33593 Corporal Johnson William Double, 2nd/1st Bn. Oxford and Bucks Light Infantry, 22/08/1917. 4th October 1917, aged 37. Panel 14 to 17 and 162 to 162A. Son of James and Eliza Catchpole, of Moorlynch, Somerset; husband of Fannetta F. Catchpole, of 67, Handcroft Rd., West Croydon, Surrey. He was husband of Fannetta Florence Catchpole, and father of May (my mother), Elsie and Reg. Prior to enlisting he was a policeman. 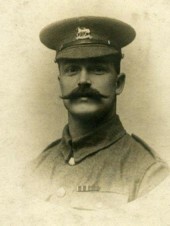 20th October 1918, aged 32. 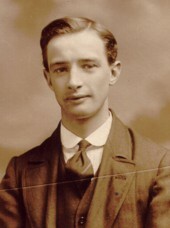 Son of Mr. and Mrs. G. Cattell, of Sutton, Isle of Ely; husband of Mrs. F. Cattell, of 21, Canterbury, St., Cambridge. Son of Mr. & Mrs. G. Clegg , 2 Church Street, Brownhills ,Walsall. Uncle to Mrs. J. Casserley. Son of Thomas Henry and Eliza Ellen Clevett, of 113, Boundary Rd., Leyton, London. 27th August 1917, aged 23. Panel 82 to 85 and 162A. Son of the late Aaron and Sarah Jane Crossley. 27th October 1917, aged 29. Panel 19 to 23 and 162. 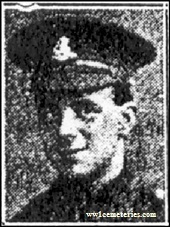 Son of Leonard and Emily Driver, of 21, Wynotham St., Burnley; husband of Beatrice Barrett (formerly Driver), of 14, Peart St., Queensgate, Burnley.